We're over halfway through the Cheltenham Festival & Thursday's racing sees Big Bucks attempt to go for an unprecedented 4th World Hurdle, a highly competitive renewal of the Ryanair Chase, some competitive handicaps & the Jewson Novices Chase. Wednesday was reasonable for us with Finians Rainbow winning but we were unlucky with Cotton Mill ducked out at the 2nd last & unseated Denis O'Reagan when in the lead pulling clear of the field with & travelling as well as eventual winner Simonsig. Starting off in the Jewson we find Peddlers Cross at the head of the market & much has been said & written about last year's Champion Hurdle 2nd after connections opted to avoid Sprinter Sacre in the Arkle & come to this race instead but surely whatever the result here the correct decision was made as it seems unlikely Pegasus itself would have beaten that one on Tuesday! 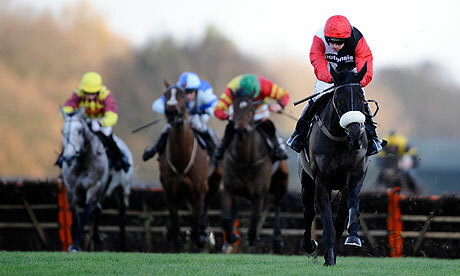 Peddlers Cross was slammed by Sprinter Sacre in his last race back in December & although there was no disgrace in that, when you do look at his overall form in chases there really isn't a lot to see as Donald McCain's charge has only had two other races, both at their local track Bangor, in low grade 3 & 5 runner races where Peddlers went off at prices of 1/8 & 2/13 so it's pretty difficult to gauge how good a chaser he is at all & we don't want to go near prices of 3/1 or lower here. 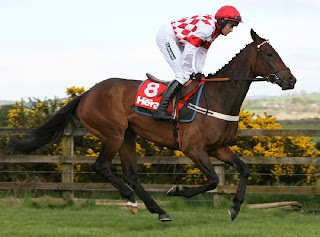 2nd favourite Sir Des Champs is a different proposition to Peddlers as he's won all of his 3 chases in Ireland including two Grade Twos & seems to be a confirmed 2m 4f specialist & won at the festival last year in the conditional jockeys hurdle so should come up the hill just fine. Paul Nicholls' Cristal Bonus is another that is a confirmed stayer but has only had two chases, winning both including the Grade Two Pendil but that was with one of today's rivals Zaynar unseating his rider & the other joint favourite that day Minella Class being pulled up. At odds of 25/1 Zaynar is actually the horse that interests us as he's another with a festival win under his belt with victory in the Triumph Hurdle in 2009 & also a 3rd in the Champion Hurdle in 2010, he didn't stay 3 miles in the World Hurdle last year & moved to Nick Williams stable & has had 7 races since October making him one of the most experienced chasers in the field. Zaynar is a confirmed class act & has finished 4th in the Game Spirit & BetVictor against non-novice rivals but what makes him especially interesting is the recent switch to David Pipe & that suggests that both owner & trainer think he's capable of performing here, Pipe has had big price winners at the Festival before (we were on Buena Vista last year) & this could be a great gamble, take what odds you can get, 25/1 is available as we write this! As we noted at the top the Ryanair Chase is highly competitive this year with 7 horses between 5/1 to 12/1, it's the de facto championship for horses too slow for the Champion Chase but that don't quite get the Gold Cup distance & is probably, slightly unfairly, a little looked down upon by purists. Somersby is near the head of affairs after winning over 2 miles in the Victor Chandler at Ascot & even though we like the runner up in that race, Finian's Rainbow, we don't like Somersby for this one as he's been beaten by Master Minded, Gauvain & finished a distant 4th in the King George as well this season, in fact his win back in October was his first in nearly two years. Noble Prince won the Jewson last year at the Festival over the distance & has since competed at a high level over two miles finishing just up behind Big Zeb twice & Blazing Tempo last time out, that's Ruby Walsh's mount here but this distance will suit Noble Prince better, even though competing over shorter we are put off by his only win since the Jewson being an uncompetitive 3 runner affair & can't be making him joint favourite. Our money will be down on Riverside Theatre, the Nicky Henderson trained horse that has only been beaten at the very highest levels over fences when coming 5th in Sizing Europe's Arkle, falling in his next race at Punchestown (their Champion Novice Chase) & finishing 2nd to Long Run, ahead of Kauto Star, in the 2010 (raced in 2011) King George. 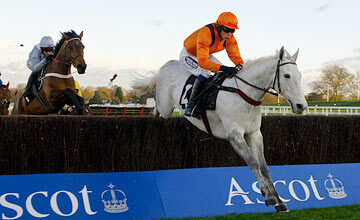 He then won the Betfair Ascot Chase with ease in 2011 & would have come here as a hot favourite but was kept off the track for a year with injury before again taking the same race this year giving Medermit & Gauvain a beating in some style, if the dreaded bounce factor doesn't happen then 5/1 is a great price & should be taken with confidence. Albertas Run could be a danger as he loves this race having won the last two renewals but he's 11 now & when you look back at those races the kind of strength you see this year probably wasn't quite there, still we wouldn't put anyone off backing what would be a hugely popular winner. Big Bucks can hardly count as a tip but we think he's pretty bombproof in the World Hurdle & reckon those looking to take him on with Oscar Whisky may be trying a little too hard. Big Bucks is truly exceptional, never makes mistakes at hurdles & disposes of all rivals with consumate ease, yes he hits a flat spot in his races but that's his way & when it comes to the final 2 or 3 furlongs he regularly accelerates whilst others are slowing & over the last couple of years seems to be even better, slamming his rivals whereas before he'd only win by as far as he needed to. Oscar Whisky has never raced this distance, running over at least 4 furlongs shorter this season & also against poor opposition & that doesn't seem like the preparation needed to beat a true champion. Much has been made of his 3rd in the Champion Hurdle last year but that suddenly isn't looking so great with Hurricane Fly's ready defeat this year & Peddlers Cross going chasing & others in behind, bar Overturn, haven't done a lot for the form. Big Bucks is available at a quite huge 4/6 on Betfair as this is written & that needs to be bet & bet big, since reverting to hurdling he's won 15 in a row, looks better than ever & seems to have no rivals worth mentioning, we'd love to see him win this then be aimed at the Ascot Gold Cup in June!